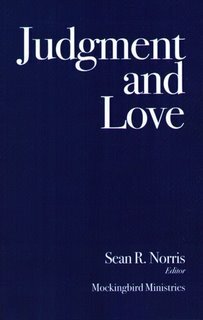 Over the past few weeks I have had a number of conversations where I was asked to clarify my/our use of the terms “judgment” and “love”. So, I thought I would write a short explanation for the blogosphere. “Judgment and love [are] primary forces acting on everyday life. In almost any situation, one can identify either or both at play. We constantly react to judgment (and the fear it inspires) and respond to love. I often use a Paul Zahl phrase from which I think much of the confusion stems: “Judgment kills love, and love births goodness.” I have heard some confuse this phrase as the Gospel, or, at least, it has been understood that we are presenting it as the Gospel. This phrase and the use of these terms are, again, meant to be descriptive. We certainly do believe that it is a true phrase, but it is not the Gospel, rather it points to the Gospel. It describes the situation to which the Gospel was given. People live under judgment and are in desperate need of love. But we are not talking about just any judgment and love here. We cannot divorce these terms from their theological synonyms: law and grace. All forms of judgment are indeed painful, but what we’re really talking about here is the judgment of God. 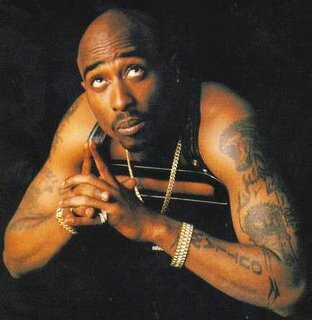 As Tupac once said, “Only God can judge me.” The law of God is the standard of which we fall short, and therefore we deserve God’s judgment. The same is true of love. Grace and love are great in a general sense, but, again, we are talking about something specific: the grace and love of God. Our only hope against His judgment is His love. So what’s the Good News? What is the Gospel? The Gospel is the “how”. It is how God gives us His grace and love, which saves us from the judgment of His law. God gives us grace through the death and resurrection of His Son Jesus Christ. Jesus willingly suffered all of the judgment of the law (which we deserve) so that we might receive nothing but the love of God. This is the Gospel, and this is our message of God’s love over God’s judgment. I very much like your thoughts on grace and judgement.